While many luxury properties rely on three-figure ingredients and prosaic flavor profiles simply because they're an easy sell, the 23-year-old Soneva Fushi and its much younger sibling, Soneva Jani, look to the world's most innovative restaurants for inspiration — not to mention the bold herbs and spices of Southeast Asia and such nearby countries as India and Sri Lanka. 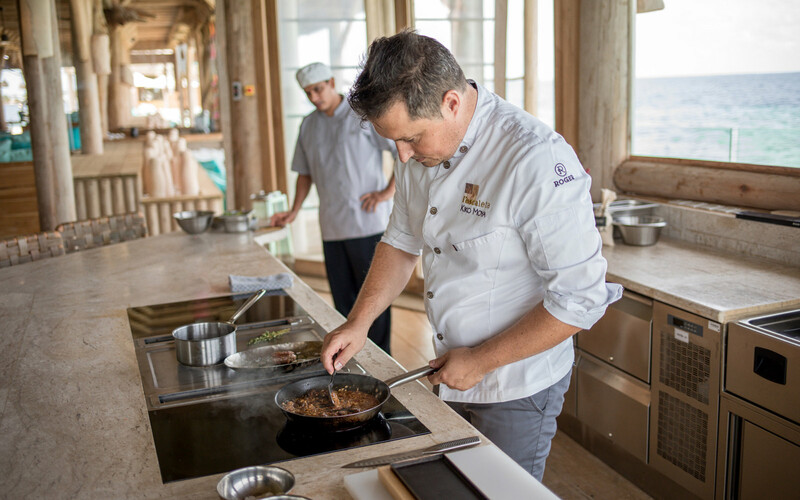 "Everything is a journey here," explained Soneva's culinary director, Kevin Fawkes, in an interview with Travel + Leisure. "We try not to make fusion dishes for Western palates; whether you're eating Thai or Maldivian food, it's all authentic." 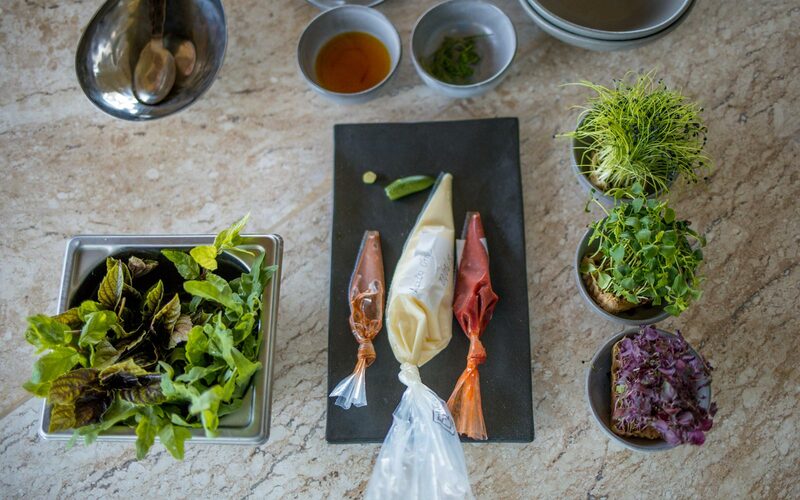 To hammer this point home, the British chef (who's worked the line at Noma and managed the menus of several high-end hotels) says his staff takes something as familiar as tom yum seriously. While many versions of this Thai staple taste like a pale imitation of the real thing — somehow, neither hot nor sour — Soneva's version boasts a complex broth and actual chilies because anything less would be, in the words of the chef, a simple "Mediterranean fish soup." Soneva's high standards, coupled with its bucket list bungalows and beaches, have long been a major draw for world renowned guest chefs willing to trade their knife skills for a free vacation. And while quite a few memories have been made by multi-course meals over the years, the Shivdasanis wanted to raise the bar even further. The result is a campaign they're calling the Festival of Colour, offering guests one-of-a-kind experiences with experts in such diverse fields as free-diving, professional tennis, astronomy, and Ayurvedic medicine. "There's a lot of interaction with each chef," Shivdasani told T+L. 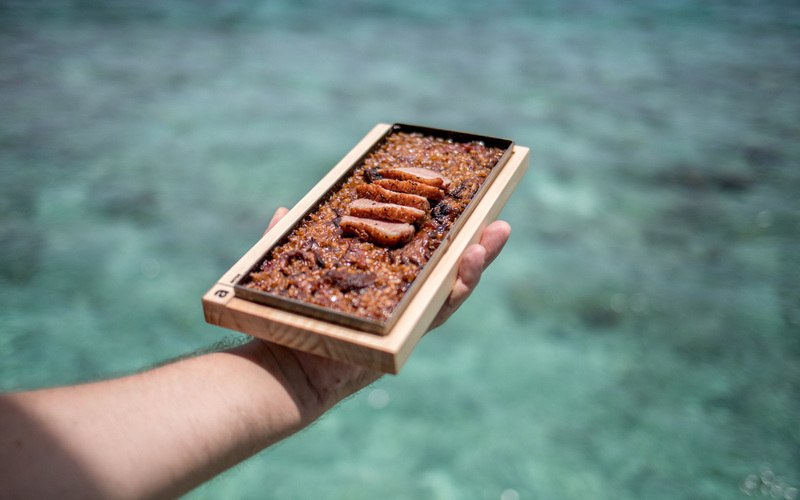 "Guests can learn more about the story behind each of the dishes served, as many of the ingredients are either locally caught seafood or produce straight from our organic gardens." "We're very passionate about connecting our guests with where their food comes from," added Fawkes, "and how it's prepared. Sometimes they'll even hop in the kitchen and start chopping ingredients." Chef Kiko Moya of Spain's two-starred L'escaleta kicked off the dinner series on August 31 with a dynamic seven-course menu that started with "creamy mustard and freshly cut herbs" and ended with a heady dessert of "spicy roasted pumpkin juice, iced almond cream, and licorice syrup." Moya didn't mention any guests hopping behind the counter — but he did say that Soneva Fushi itself was like "paradise on earth," a rare opportunity to spend time with family and share the positive side of being involved with such a busy profession. "It was my first visit to the Maldives," said Moya, "and hopefully not the last. I still don't know how my experience there will appear in my dishes, but I believe it will be spectacular. As with any other time I've traveled somewhere and cooked, my menu will never be the same." Soneva and Michelin's Once Upon a Table series is currently underway and set to run through November 2019. 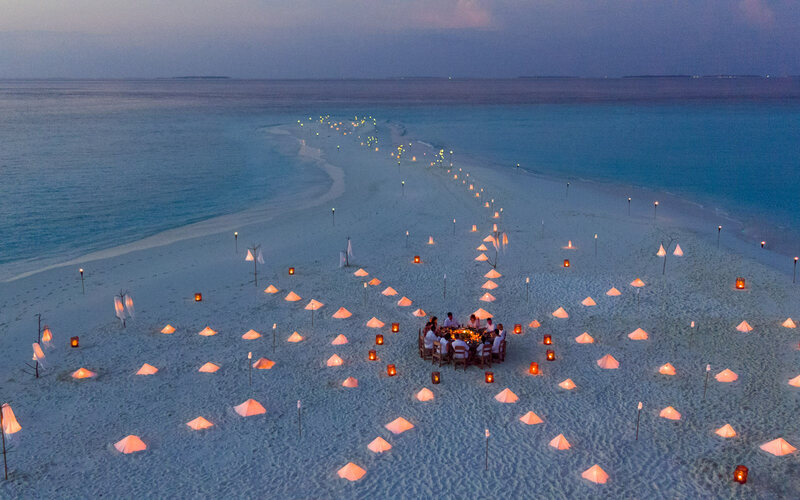 Dinners from $487 per person, taxes included. Find more information about how to book at soneva.com.